In professional sports, every athlete that performs on the field also spends copious amounts of time traveling from stadium to stadium, city to city, fitting in the physical recovery part of their regimen wherever they can. Grabbing a bag of ice from a passing drink cart while crammed into an economy-sized seat aboard a normal plane doesn’t scream elite recovery. 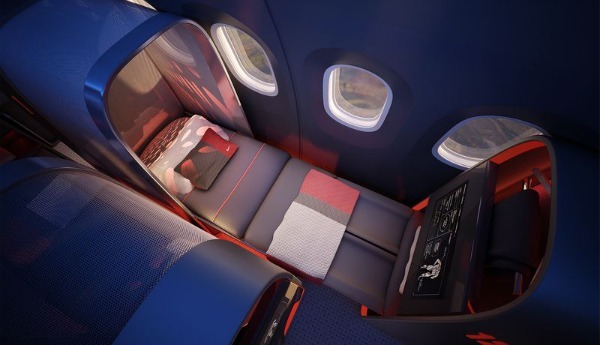 Aviation design firm Teague has the answer. 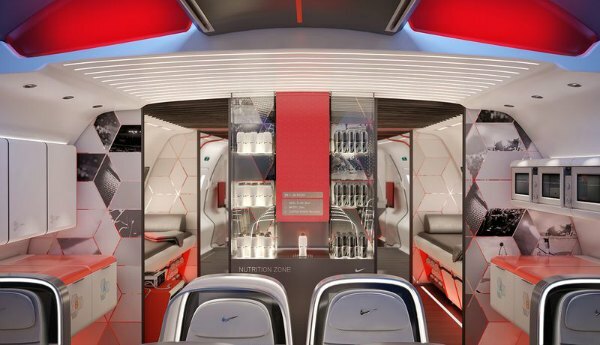 The Seattle-based company teamed with Nike and a variety of experts, spending nearly four years researching the best way for athletes to recover at 40,000 feet. 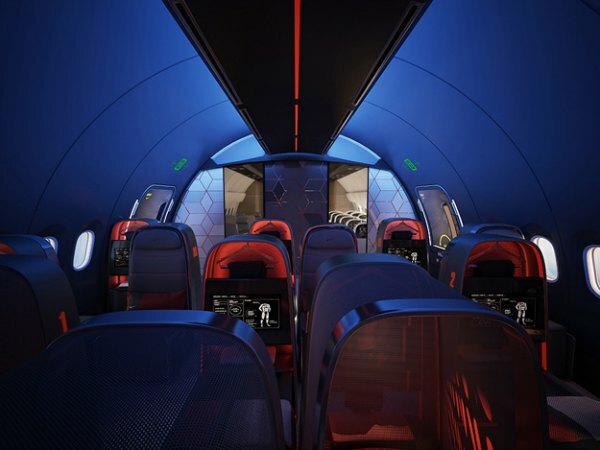 The product of their collaboration was the creation of the ultimate airborne experience, all designed to give teams recovering in the air the ultimate edge. Studies show that motor function measurably deteriorated in athletes after air travel and lingered for roughly the same number of days as the number of time zones crossed. Teague says with all the money getting poured into home training centers and facilities, a team’s “away” facility—the plane—deserves some attention too. Teague zoned the functions of the aircraft, not in a class system or by who showed up first, but by needs. Players, coaches and assisting staff all have differing zones, optimizing foot traffic and noise levels for the right people to connect for the right purposes, Steiner says. Falcons GM Thomas Dimitroff: What drives the NFL's fittest exec? 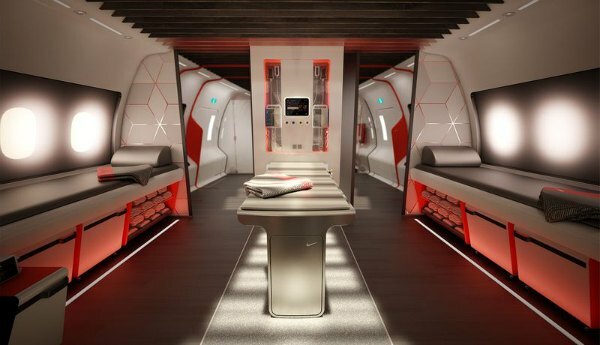 And with recovery the pinnacle of the design, Teague worked in an area that resembles a locker room to accommodate for the needs of ground athletes while in the air. Overall, Chapa says, the design includes the ability to assess recovery. Biometric monitoring urinals to gauge dehydration and biometric-monitoring apparel that downloads information at a players’ seat highlight the design. And while players who need IVs now often lay across seats, the recovery room includes at least one true medical table to handle more serious needs. Teague learned from a researcher that sometimes the best recovery comes in the form of sleep. 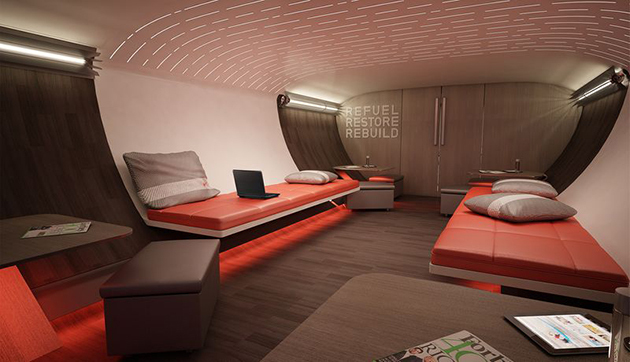 An athlete-sleeping zone, away from all foot traffic and noise, gives players time to rest. Special spaces to encourage natural circulation—a key promoter of healing—and space for film study round out the design. The new design hasn’t made its way into a fuselage just yet, but Teague thinks owners or teams wanting an advantage will sign on. Chapa believes Mark Cuban’s Dallas Mavericks represent the only professional team using a team-owned plane (Paul Allen, owner of the Portland Trailblazers, sold his team plane). Steiner sees owners, such as Cuban, wanting to configure a personal aircraft with the new design for an advantage. 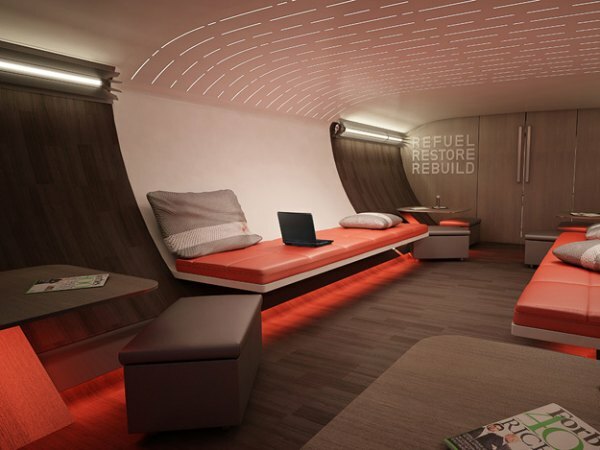 He also envisions charter companies or airline carriers wanting to have at least one sport-specific plane to better service professional team clients. 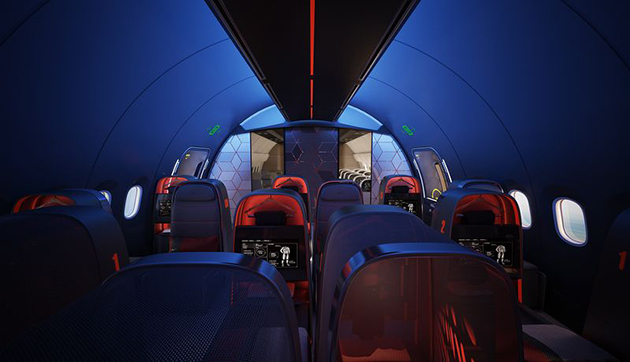 “If there was a team that wanted to outfit a personal jet it could be fully customized to give them an advantage,” Steiner says. To get the grandest edge from an “away” training facility, teams of the future will gladly ditch the bag of ice from the drink cart.